The UK was not a signatory of the three original treaties that were incorporated into what was then the European Communities, including the most well known of these, the 1957 Treaty of Rome, establishing the European Economic Community (EEC). The UK's applications to join in 1963 and 1967 were vetoed by the President of France, Charles de Gaulle, who said that "a number of aspects of Britain's economy, from working practices to agriculture" had "made Britain incompatible with Europe" and that Britain harboured a "deep-seated hostility" to any pan-European project. Once de Gaulle had relinquished the French presidency in 1969, the UK made a third and successful application for membership. The question of sovereignty had been discussed at the time in an official Foreign and Commonwealth Office document. It listed among "Areas of policy in which parliamentary freedom to legislate will be affected by entry into the European Communities": Customs duties, Agriculture, Free movement of labour, services and capital, Transport, and Social Security for migrant workers. The document concluded (paragraph 26) that it was advisable to put the considerations of influence and power before those of formal sovereignty. The Treaty of Accession was signed in January 1972 by the then prime minister Edward Heath, leader of the Conservative Party. 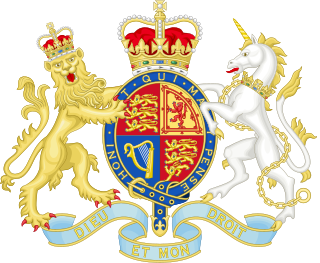 Parliament's European Communities Act 1972 was enacted on 17 October, and the UK's instrument of ratification was deposited the next day (18 October), letting the United Kingdom's membership of the EC come into effect on 1 January 1973. In 1975, the United Kingdom held its first ever national referendum on whether the UK should remain in the European Communities. The governing Labour Party, led by Harold Wilson, had contested the October 1974 general election with a commitment to renegotiate Britain's terms of membership of the EC and then hold a referendum on whether to remain in the EC on the new terms. All of the major political parties and the mainstream press supported continuing membership of the EC. However, there were significant divides within the ruling Labour Party; a 1975 one-day party conference voted by two to one in favour of withdrawal, and seven of the 23 cabinet ministers were opposed to EC membership, with Harold Wilson suspending the constitutional convention of Cabinet collective responsibility to allow those ministers to publicly campaign against the government. On 5 June 1975, the electorate were asked to vote yes or no on the question: "Do you think the UK should stay in the European Community (Common Market)?" Every administrative county and region in the UK returned majority "Yes" votes, apart from the Shetland Islands and the Outer Hebrides. With a turnout of just under 65%, the outcome of the vote was 67.2% in favour of staying in, and the United Kingdom remained a member of the EC. Support for the UK to leave the EC in 1975, in the data, appears unrelated to the support for Leave in the 2016 referendum. In 1979, the United Kingdom opted out of the newly formed European Monetary System (EMS), which was the precursor to the creation of the euro currency. 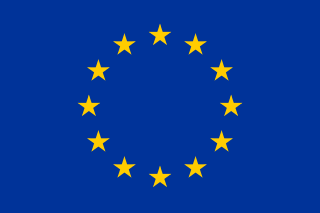 As a result of the Maastricht Treaty, the European Communities became the European Union on 1 November 1993. The new name reflected the evolution of the organisation from an economic union into a political union. As a result of the Lisbon Treaty, which entered into force on 1 December 2009, the Maastricht Treaty is now known, in updated form as, the Treaty on European Union (2007) or TEU, and the Treaty of Rome is now known, in updated form, as the Treaty on the Functioning of the European Union (2007) or TFEU. The Referendum Party was formed in 1994 by Sir James Goldsmith to contest the 1997 general election on a platform of providing a referendum on the UK's membership of the EU. It fielded candidates in 547 constituencies at that election, and won 810,860 votes or 2.6% of the total votes cast. It failed to win a single parliamentary seat because its vote was spread out across the country, and lost its deposit (funded by Goldsmith) in 505 constituencies. The UK Independence Party (UKIP), a Eurosceptic political party, was also formed, in 1993. It achieved third place in the UK during the 2004 European elections, second place in the 2009 European elections and first place in the 2014 European elections, with 27.5% of the total vote. This was the first time since the 1910 general election that any party other than the Labour or Conservative parties had taken the largest share of the vote in a nationwide election. UKIP's electoral success in the 2014 European election has been documented as the strongest correlate of the support for the leave campaign in the 2016 referendum. In 2014, UKIP won two by-elections, triggered by defecting Conservative MPs, and in the 2015 general election took 12.6% of the total vote and held one of the two seats won in 2014. It must be noted that neither the ECHR or ECtHR are formally part of the European Union, and are not connected to the Court of Justice of the European Union (CJEU). The ECHR was drafted by, and the ECtHR is part of, the Council of Europe, of which the UK was a founding member in 1949. The UK was an independent signatory to the ECHR, 21 years before joining the EC/EU, in 1951. In a statistical analysis published in April 2016, Professor John Curtice of Strathclyde University defined Euroscepticism as the wish to sever or reduce the powers of the EU, and conversely Europhilia as the desire to preserve or increase the powers of the EU. According to this definition, the British Social Attitudes (BSA) surveys show an increase in euroscepticism from 38% (1993) to 65% (2015). Euroscepticism should however not be confused with the wish to leave the EU: the BSA survey for the period July–November 2015 shows that 60% backed the option "continue as an EU member", and only 30% backed the option to "withdraw". Since 1977, both pro- and anti-European views have had majority support at different times, with some dramatic swings between the two camps. In the United Kingdom European Communities membership referendum of 1975, two-thirds of British voters favoured continued EC membership. The highest-ever rejection of membership was in 1980, the first full year of Prime Minister Margaret Thatcher's term of office, with 65% opposed to and 26% in favour of membership. After Thatcher had negotiated a rebate of British membership payments in 1984, those favouring the EC maintained a lead in the opinion polls, except during 2000, as Prime Minister Tony Blair aimed for closer EU integration, including adoption of the euro currency, and around 2011, as immigration into the United Kingdom became increasingly noticeable. As late as December 2015 there was, according to ComRes, a clear majority in favour of remaining in the EU, albeit with a warning that voter intentions would be considerably influenced by the outcome of Prime Minister David Cameron's ongoing EU reform negotiations, especially with regards to the two issues of "safeguards for non-Eurozone member states" and "immigration". The following events are relevant. From 2017 to 2019, UK has engaged in negotiating a Brexit between the European Union and herself. Between UK and EU, this Brexit would consist in a withdrawal agreement and a trade agreement, while at a global level this would/might also split various FTA. The withdrawal agreement is viewed by the EU as a "settlement of accounts" unrelated to the post-exit trade agreement, and viewed by the UK as a 'goodwill payment' to enable a fair post-exit trade agreement. In the event of a no-deal scenario each side will consequently have different views as to the validity of any payment. ^ "1967: De Gaulle says 'non' to Britain – again". BBC News. 27 November 1976. Retrieved 9 March 2016. ^ FCO 30/1048, Legal and constitutional implications of UK entry into EEC (open from 1 January 2002 under the Thirty-year rule). ^ "Into Europe". Parliament.uk. Retrieved 25 February 2017. ^ "English text of EU Accession Treaty 1972, Cmnd. 7463" (PDF). Retrieved 24 February 2017. ^ "1973: Britain joins the EEC". BBC News. 1 January 1973. Retrieved 9 March 2016. ^ "1975: Labour votes to leave the EEC". News.bbc.co.uk. 26 April 1975. Retrieved 31 January 2019. ^ DAvis Butler. "The 1975 Referendum" (PDF). Eureferendum.com. Archived from the original (PDF) on 15 August 2016. Retrieved 19 May 2016. ^ "Research Briefings – The 1974–1975 UK Renegotiation of EEC Membership and Referendum". Parliament of the United Kingdom. Retrieved 19 May 2016. ^ "Who Voted for Brexit? A comprehensive district level analysis". Becker, Fetzer, Novy, University of Warwick. Retrieved 22 November 2016. ^ a b Vaidyanathan, Rajini (4 March 2010). "Michael Foot: What did the 'longest suicide note' say?". BBC News Magazine. BBC. Retrieved 21 October 2015. ^ Dury, Hélène. "Black Wednesday" (PDF). Retrieved 24 February 2016. ^ Tempest, Matthew (9 February 2005). "Treasury papers reveal cost of Black Wednesday". The Guardian. London. Retrieved 26 April 2010. ^ "EU treaties". Europa (web portal). Archived from the original on 13 September 2016. Retrieved 15 September 2016. ^ "EUROPA The EU in brief". Europa (web portal). Retrieved 19 May 2016. ^ Wood, Nicholas (28 November 1994). "Goldsmith forms a Euro referendum party". The Times. p. 1. ^ a b "UK Election 1997". Politicsresources.net. Archived from the original on 21 September 2011. Retrieved 16 July 2015. ^ "10 key lessons from the European election results". The Guardian. 26 May 2014. Retrieved 31 May 2014. ^ Matt Osborn (7 May 2015). 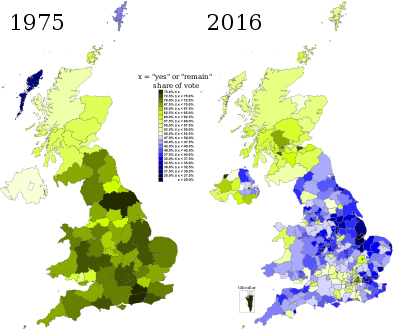 "2015 UK general election results in full". The Guardian. ^ "Why are the Conservatives against the European court of human rights?". Guardian newspapers London. 14 July 2014. Retrieved 6 May 2017. ^ "European court is not superior to UK supreme court, says Lord Judge (the former Lord Chief Justice of England and Wales)". The Guardian newspaper, Londion. 14 December 2013. Retrieved 6 May 2017. ^ "David Cameron to 'scrap' Human Rights Act for new 'British Bill of rights'". Independent Newspaper, London. 1 October 2014. Retrieved 6 May 2017. ^ "Human Rights Act versus a British Bill of Rights". British Broadcasting Corporation, Newsbeat report, London. 25 May 2015. Retrieved 6 May 2017. ^ "Plan to scrap Human Rights Act delayed again". Guardian Newspapers London. 2 December 2015. Retrieved 6 May 2017. ^ "UK must leave European convention on human rights, says Theresa May". Guardian newspapers London. 25 April 2017. Retrieved 6 May 2017. ^ Tarran, Brian (8 April 2016). "The Economy: a Brexit vote winner?". Significance. 13 (2): 6–7. doi:10.1111/j.1740-9713.2016.00891.x. ^ a b c Mortimore, Roger. "Polling history: 40 years of British views on 'in or out' of Europe". The Conversation. Retrieved 25 October 2016. ^ New Open Europe/ComRes poll: Failure to win key reforms could swing UK's EU referendum vote openeurope.org, 16 December 2015. Gisela Stuart is a British Labour Party politician, who served as the Member of Parliament for Birmingham Edgbaston from 1997 until stepping down at the 2017 general election. Born and raised in West Germany, she has lived in the UK since 1974. The United Kingdom European Communities membership referendum, also known variously as the Referendum on the European Community , the Common Market referendum and EEC membership referendum, took place under the provisions of the Referendum Act 1975 on 5 June 1975 in the United Kingdom to gauge support for the country's continued membership of the European Communities (EC) — often known at the time as the European Community and the Common Market — which it had entered two and a half years earlier on 1 January 1973 under the Conservative government of Edward Heath. Labour's manifesto for the October 1974 general election had promised that the people would decide through the ballot box whether to remain in the EC. Euroscepticism, i.e. the opposition to policies of supranational European Union institutions and/or opposition to Britain's membership of the European Union, has been a significant element in the politics of the United Kingdom (UK). A Eurobarometer survey of EU citizens in 2009 showed that support for membership of the EU was lowest in the United Kingdom, alongside Latvia and Hungary. The Referendum Act 1975 , also known simply as the Referendum Act, was an Act of the Parliament of the United Kingdom, which made legal provision for the holding of a non-binding referendum on whether the United Kingdom should remain a member of the European Communities (EC)—generally known at the time in the UK, with reference to their main component, the European Economic Community (EEC) as stipulated in the Act, also known at the time as the "Common Market". The Referendum Bill was introduced to the House of Commons by the Leader of the House of Commons and Lord President of the Council Edward Short on 26 March 1975; on its second reading on 10 April 1975, MPs voted 312–248 in favour of holding the referendum—which came the day after they voted to stay in the European Communities on the new terms set out in the renegotiation. The European Union Referendum Act 2015 (c. 36) is an Act of the Parliament of the United Kingdom that made legal provision for a pre-legislative referendum to be held in the United Kingdom and Gibraltar, on whether it should remain a member state of the European Union or leave it. The bill was introduced to the House of Commons by Philip Hammond, Foreign Secretary on 28 May 2015. Two weeks later, the second reading of the Act was supported by MPs from all parties except the SNP; the Act subsequently passed on its third reading in the Commons on 7 September 2015 and was approved by the House of Lords on 14 December 2015, and given Royal Assent on 17 December 2015 and came partly into force on the same day and came into full legal force on 1 February 2016. The European Union (Referendum) Act 2016 is an Act of the Gibraltar Parliament, which implements the United Kingdom's European Union Referendum Act 2015 in Gibraltar. It was the first time a referendum has been held in Gibraltar on the issue of continued EU membership since the territory joined along with the United Kingdom in 1973 and was the first time that a British Overseas Territory had participated in a UK-wide referendum. The Act commenced on 26 January 2016, and received assent from the Governor of Gibraltar on 28 January 2016. The result of the United Kingdom European Union Referendum of 2016 was a victory for the "Leave" campaign, amassing a total of 51.9% of the vote. This meant that the outcome was in favour of the United Kingdom leaving the European Union, a decision and process that is commonly referred to as "Brexit". Consequently, UK Prime Minister Theresa May triggered Article 50 on 29 March 2017, starting the process of British withdrawal from the European Union. Euroscepticism is a minority view in Ireland, with opinion polls between 2016 and 2019 indicating between 70% and 90% support for continued membership of the European Union (EU).